The leader of a South African political party has called for the mass killing of white women and children living in South Africa. Andile Mngxitama, president of Black First Land First (BLF), was addressing a rally over the weekend in Potchefstroom near Johannesburg. Mngxitama has since claimed that these comments were taken out of context and that he was responding to comments recently made by billionaire Johann Rupert about the taxi industry. Rupert, a supporter of the taxi industry, alluded to the far-left EFF party in a recent interview with Power FM where he stated if ‘those red guys come’ they should remember he had his ‘own army,’ according to City Press. His friend is Jabu Mabuza, chairman of the South African Black Taxi Association, and was one of his first partners in Business Partners, a group set up by Rupert to support small businesses in 1981, Times Live reports. Rupert, who appeared to be talking in a lighthearted tone before a laughing audience at the radio station’s Chairman’s conference, was not referring to Mngxitama’s party – but the EFF, another left-wing group. Furthermore, he never mentioned race and was speaking in purely political terms. 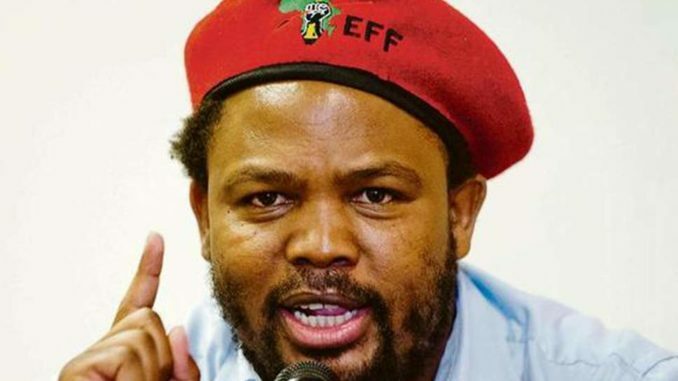 The EFF took exception after the comments and claimed Rupert was inciting violence, which Mngxitama attempted to dangerously exploit at his BLF rally. Rupert never mentioned a private militia nor did he mention violence. Mngxitama told the broadcaster that Rupert had shown insensitivity with his comments because any person would know that in South Africa’s taxi industry people get killed. He also said that the BLF would be in parliament by 2019. But a complaint has been made to the Independent Electoral Commission and if found guilty of inciting hatred or violence, Mngxitama’s party could lose their registration. Mngxitama is a Marxist revolutionary who is opposed to capitalism and his party’s militant stance has been accused of racism countless times. ANC spokesman Zizi Kodwa, for South Africa’s leading party, said: ‘The rant about ‘killing white people’ shows an extent of [Mngxitama’s] ignorance to the history of this country,’ News 24 reported.